Devon County Show opened its gates on the first day to huge crowds who flocked to enjoy the very best that the county has to offer. 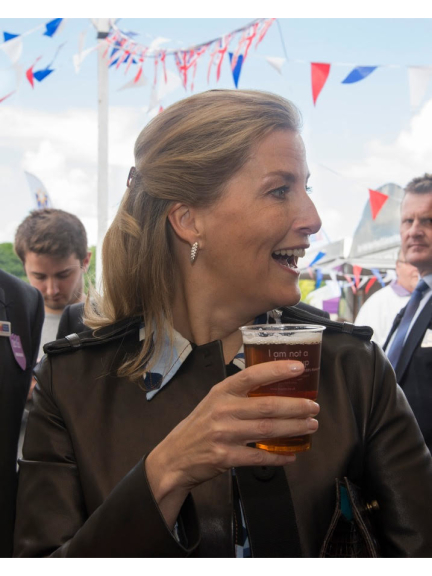 HRH The Countess of Wessex, President of the Devon County Agricultural Association which runs the Show, spent a busy day presenting awards, watching events and demonstrations by sheep shearers and blacksmiths as well as meeting many of the Show’s army of volunteers. She even sampled a new beer brewed specially in her honour, Sophie’s Ale, in the Show’s very own beer festival, the Contented Cow. “We can look forward of more of the same tomorrow and Saturday. We work all year to put the show together but days like this makes it all worthwhile. 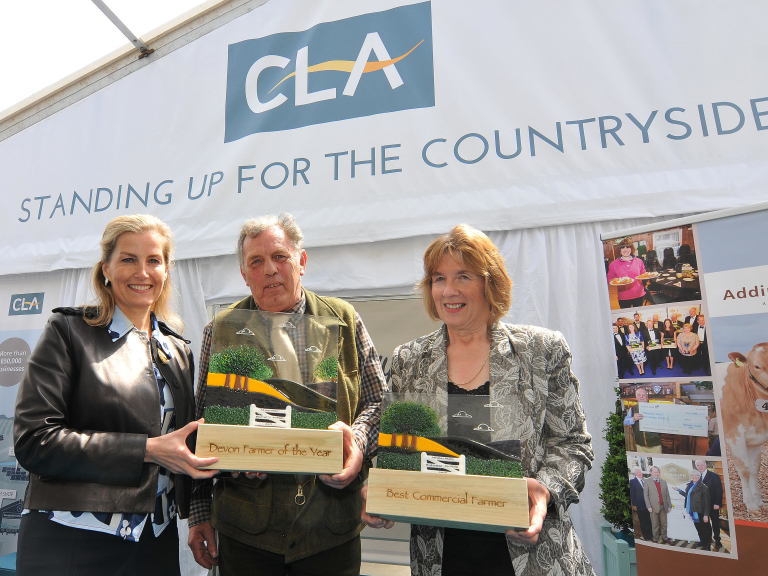 Among today’s award recipients were Colin and Glenys Latham whom she presented with two awards, Devon Farmer of the Year and Devon Commercial Farmer. Meanwhile Bulkamore Orchards from Rattery claimed first and second in the cider championships. One of this year’s highlights is Devon Remembers, a moving tribute to the 11,500 Devon men and women who lost their lives in World War One. The exhibition consisted of 33,000 hand made poppies made by the people of Devon. It has already drawn much praise from visitors, many of whom were moved to tears by the sheer enormity of it. The 122nd Show is expected to attract in excess of 90,000 visitors over the three days. Big attractions included the Food and Drink Pavilion where Devon celebrity chef Michael Caines headlined the cookery demonstrations. “We can look forward of more of the same tomorrow and Saturday. We work all year to put the show together but days like this make it all worthwhile. Tomorrow’s highlights include the grand parade of livestock, monster trucks making their first outing in the main arena and the heavy horse turnout. The Show is very much a farmers’ day out and the big talking points of the day were Brexit. At the Country Land and Business Association's breakfast, President Ross Murray launched the CLA's "Countryside Matters" campaign, designed to remind politicians of all parties of the importance of farming and the countryside in the General Election campaign and beyond. The show continues at Westpoint, Exeter on Friday and Saturday.